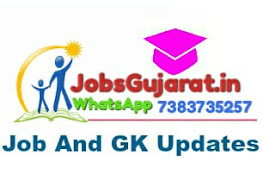 Railway Recruitment Board (RRB) has released a notification for the recruitment of Various Posts, including number of vacancies, eligibility criteria, selection procedure, how to apply and important dates, are given below:Get Daily Updates for Latest Breaking News, Job Alert, Result, Answer Key, Study Material, Notification, Question Paper etc direct in mobile from our website www.jobsgujarat.in please save 8849118318 number in your mobile and send msg JOIN. Updates will start in two days. Thank you.